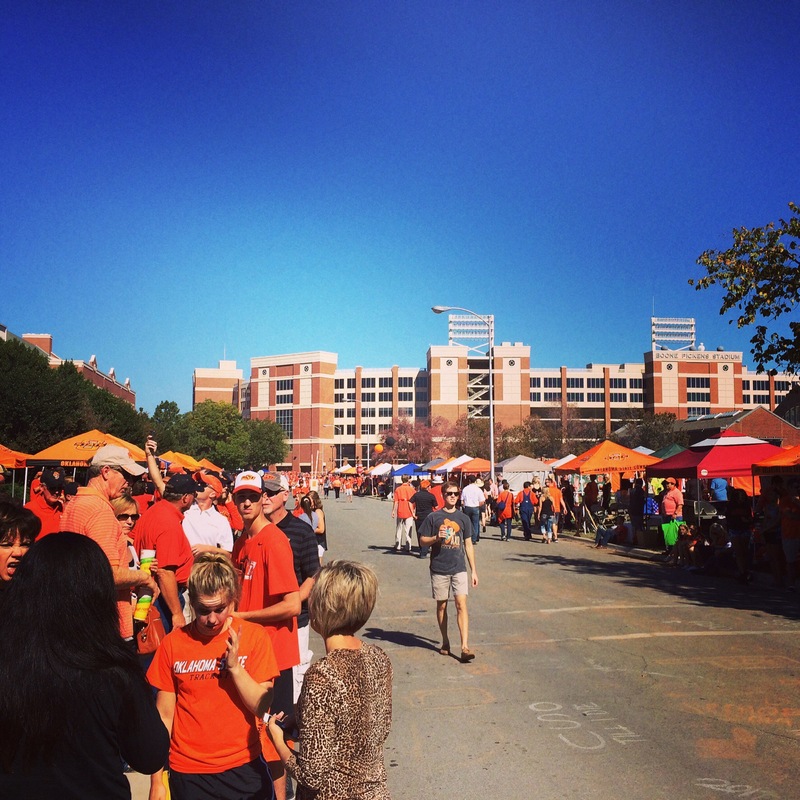 It was an absolutely beautiful morning as we arrived at Oklahoma State University. There was a sort of excitement and anticipation in the air. Orange and Black was everywhere. Today, it was homecoming. It was getting back to my alma-mater, remembering and reminiscing about those good ‘ol days. For me, it was standing next to Old Central and looking East to Fire station #2. It was remembering the courses, the labs, long evening and nights figuring out the metric conversions to all those Borgelt papers. It was remembering great Professors, and not so great Professors. Nostalgia, it was. But was it really all that? Ummmmmm, NO, it was about beating the HECK out of West Virginia!!!! Shortly after kickoff, it was evident this might not turn out the way I planned. The nostalgia and the memories quickly turned to frustration and anger. Were these Cowboys going to win? The answer is well, not the game. However, it made me realize that winning is not always the measure of success. You see, OSU lost 45% of their Letterman from last year. The only team in college football to hold that honor. That means there are a lot of new and inexperienced players. So as fans, and loyal alumni, winning is our first choice, as I am sure that is the same for the OSU players, coaches and staff. Well as you can probably figure out, OSU did lose the game. But did they really lose? I don’t believe so. In our life, our profession and yes, even with our football team, winning comes in many ways. As I sat there thinking about the game and the losing performance on the field, I started thinking about what the Cowboys did accomplish during and after that game. What will make them a better team, better athletes,better students and ultimately a better person? 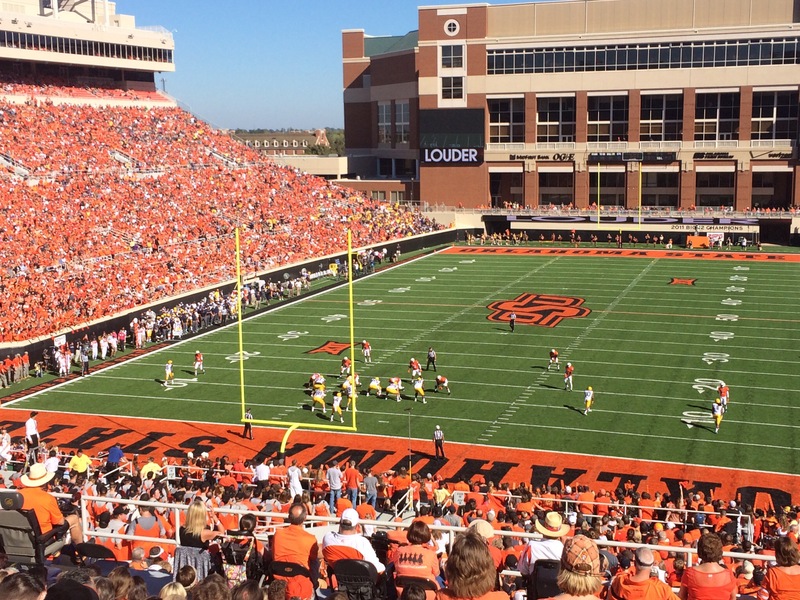 I came up with 3 things that I believe the OSU Cowboy football team got and what you and I get out of every winning or losing situation and experience. Clarity- There is no doubt these players gained more clarity on plays, speed, talent, etc. You see, I believe the more you understand what it takes to perform your daily activities, the more you understand your interactions with people, the more clarity you get in your leadership of employees, staff and even family. The sooner you become clear on the activities, task and relationship interactions, the sooner you will experience your desired outcomes. Consistency- Consistency is huge. Football players perform the same drills every day in practice, they run the same plays over and over and over until they can run them with their eyes closed. Consistency creates simplicity. When you add consistency in your life and business, you add simplicity. “Practice makes Perfect”, right? The more we practice, the more consistent we become. The more consistent, the more competent we become, the more competent, the more people believe in you. The more people believe, the more they trust you. The more they trust you, the more you can influence. If you can influence someone, you can lead them. Character – I could talk about this forever. I promise you, Character was built-in those football players on Saturday. Character is evident when things don’t necessarily go our way. Our character is much more than just what we try to display for others to see, it’s who we are even when no one is watching. It’s who we are we on the inside. Our reputation comes from what others believe about our outside. Our character represents who we are on the inside. So if we focus on being better on the inside than the outside, over time we will become better on the outside. Character is who you are and who you are determines if people will follow. If people follow, then you can influence them, if you can influence them, then you can lead them! Whether we win or lose is really up to us. Our goal is not to keep score and count our wins and losses, it is more what insight we gain in those wins or losses. As leaders we must realize that winning is not always the measure of success, but it is what we gain from the experience that ultimately determines the outcome. You can learn more leadership insights by visiting my blog at wwww.leaderinfluence.net.